If the Sun Devil football team were at the goal line, I would give it to Dort every time. Welcome to Palo Alto, California. 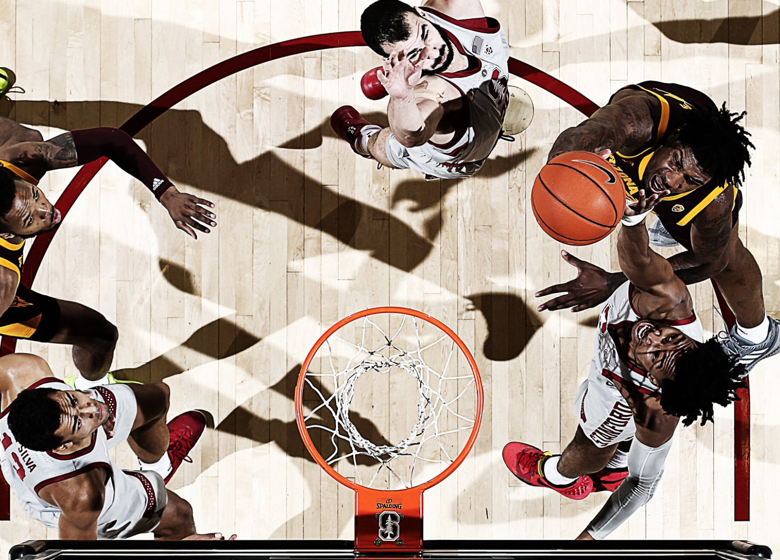 If this is your first stop on the rocky road that is Pac-12 regular season basketball, it is Saturday evening and the Sun Devils lost again to the Stanford Cardinal. One of the first things I noticed was Bobby Hurley busy politicking with a side referee while the Sun Devils were on defense. Just Bobby and Mr. Referee, a trained referee, with a whistle out of his mouth. That’s a big “no” amongst referees by the way, but that very referee missed a call on the possession potentially favoring our beloved Sun Devils. Alright, generally speaking over at least the previous two seasons Coach Hurley and his players have not exactly had every single whistle go their way. In fact, there have been some really tough calls during this span, and I worry about Bobby’s stress levels always hoping he has a cold diet coke sitting next to him to quash that fire or Hurley fury. But on this night in Palo Alto feast your eyes upon Luguentz Dort taking a clear lane for a powerful dunk followed by another smart decision harvesting a “made” layup. This season, Luguentz is 90-225 shooting, and I might suggest at least 25 of those misses were at the rim. But on this night, seeing Dort finish strong early against The Cardinal was encouraging. I actually cheer, “Dort made a layup,” and trust me, I know how capable, smart and powerful the man is. But it looked like he had his confidence back! Now Dort shot 12 percent against Princeton and was left on the floor for 30 minutes. He has 47 turnovers vs. 38 assists this season, not to mention 135 missed shots often sending the other team into a fast transition opportunity. In close games, the volume of Dort’s missed shots is tough on the Sun Devils. Luguentz, such a powerful player with 46 personal fouls complete with offensive charges and a problem shooting free throws, can fast become a liability. 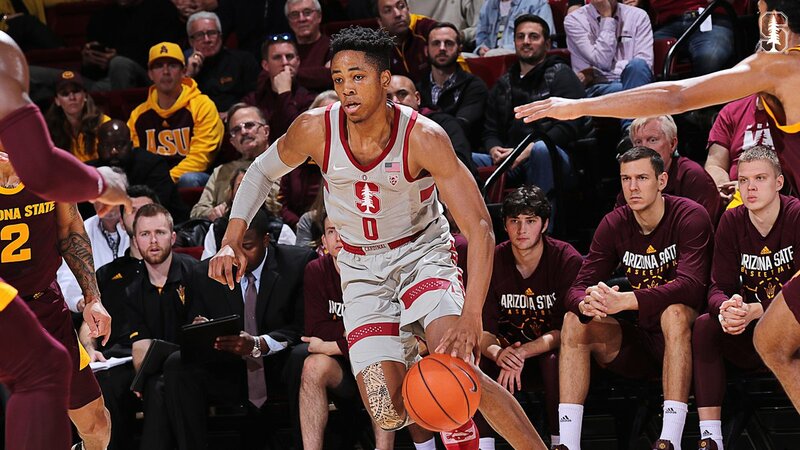 Dort disappeared in the second half in Palo Alto, and it was not exactly the fouls. The Sun Devils had 19 turnovers versus only 9 assists, playing out of control often. The Sun Devils look lost when they revert back to pounding the rock on the court rather than moving it via pass around and through opposing defensive sets. I refer to Hurley’s basic offensive set as the High School or Junior High School motion offense. Guards dribbling around and handing the ball off to each other essentially. What’s strange is the Devils went to this ineffective motion offense in the second half, not the first, and we were in the game at the half! It was as if they forgot how to work the middle of the defense and make a simple bounce pass to the interior. One possession in the second half had Dort taking on 3 Stanford defenders with his head down, and the next had five Sun Devils running around the perimeter on offense clearly not working as a unit. Attention Bobby Hurley: In practice please have Dort run up and down the floor at full speed teaching him to jump stop at 12 feet and shoot a soft pull-up jumper, over and over again. He either jacks up a 23 footer or runs full steam to the rim regardless of what’s in front of him or who is open on the sideline! His turnover to assist ratio clearly displays he has to slow his game down just a step. His set shot fails because he probably practices while standing around the gym without raising his heart rate to game speed. Against The Cardinal, Remy Martin was 3-12 shooting with his, “line-drive push shot.” His shooting mechanics are why he has extreme hot or ice cold nights. Not many line-drive shooters are consistent, and it is apparent he works hard on his shooting. But even going to the hole in the second half, Remy had an easy transition layup rejected. Romello White, who has developed into a fundamental beast in the post, should get more of those 225 shot attempts which Dort has been clanging around this season. But on Saturday the Sun Devils couldn’t feed him. Let alone get De’Quon Lake or Zylan Cheatham more touches 12 feet out and up to the rim along the baseline. Against the zone, effective offenses exploit the middle of the key. Arizona State has the athletes and length to do this consistently anytime they need to score. 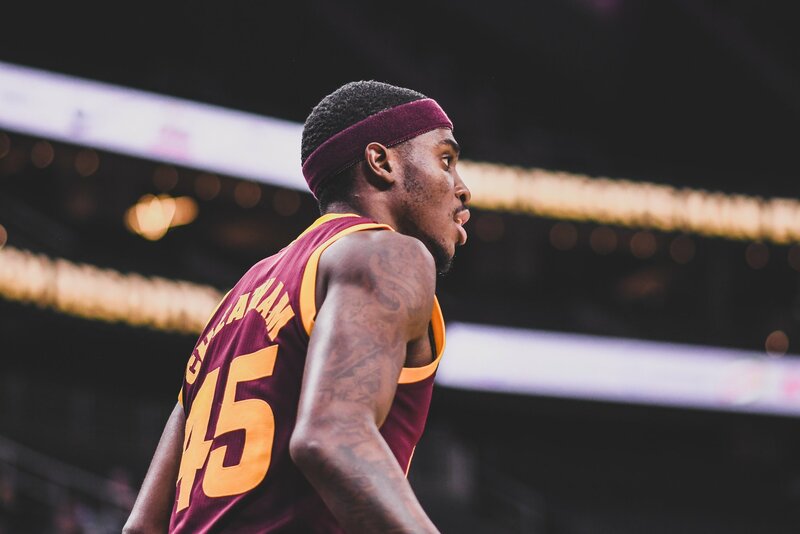 On that note, Zylan Cheatham has been an incredible treat to watch with or without the ball. He was 4-9 shooting, had 12 boards, 4 assists and 2 steals against Stanford. We need more of that across the board, and I’m not suggesting the Sun Devils aren’t hustling. My observation is that Bobby is playing six or seven guys who hustle on both sides of the floor, but they’re human. Fatigue does set in, and it was a major part of our downfall last season. When our Devils lose, you can visibly see fatigue around the twelve-minute mark of the second half. I know the experience of Mickey Mitchell would help when Dort is having problems, but does anyone else note when Dort is missing outside, he goes Herm Edward’s “fullback” to the rim missing layup after layup or committing an offensive charge? If the Sun Devil football team were at the goal line, I would give it to Dort every time. I also know Luguentz is young, knows better, but gets caught in the moment. This is now three regular-season losses in a row to The Cardinal. We have depth. I believe guys like Shibel and Valtonen can spell the Forwards for three to five minutes a game at least. Valtonen looks to be a great fundamental shooter, and perhaps this is when Hurley goes to a zone. At the very least, Shibel could be aggressive in the interior without worrying about foul trouble. This would spell Lake or White, also afford the coaches a minute or two to provide input to the kids. Now, I am not suggesting Stanford didn’t “win” the game, but this is now three regular-season losses in a row to The Cardinal. In these three games, if we were to line up our best eight against Stanford, the Sun Devils would be the better team. That’s until they jump the ball of course. Oscar da Silva and KZ Okpala both were rock solid and most importantly allowed the game to come to them. Stanford guard Daejon Davis dished out nine assists, playing 35 minutes to balance The Cardinal attack. 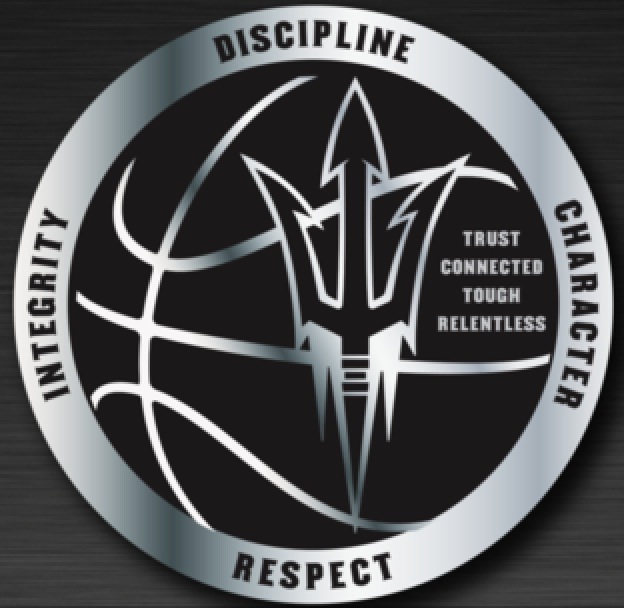 As a sophomore Daejon’s patience and discipline is something every Sun Devil guard might want to take a look at. Finally, it will be interesting to see which Sun Devil team shows up for the Oregon State game at the Bank in Tempe Thursday Night. Experts suggest we have a 75 percent chance of winning! With a deep breath, having watched every game for the past two years I am wary of another 10 loss Pac-12 effort. It was eleven losses last year if you include getting blasted in the Pac-12 tournament by a Colorado team we should have torched all things considered. The Sun Devil fan in me, understanding our athleticism and inherent potential, thinks ASU defeats OSU by 17.